Two families arrive in Puerto Vallarta, Mexico, for a once-in-a-lifetime vacation. Jenna has organized the trip to celebrate her husband's fiftieth birthday--she's been looking forward to it for months. She's sure everything is going to be just perfect--and the margarita refills delivered by the house staff certainly don't hurt, either. What could go wrong? Yet as the families settle into their vacation routines, their best friends suddenly seem like annoying strangers, and even Jenna's reliable husband, Peter, is sharing clandestine phone calls with someone--but who? Jenna's teenage daughter, Clem, is spending an awful lot of time with Malcolm, whose questionable rep got him expelled from school. Jenna's dream of the ultimate celebration begins to crack and eventually crumbles completely, leaving her wondering whom she can trust, and whether her privileged life is about to be changed forever. Readers of Emma Straub, Meg Wolitzer and Delia Ephron will love this sharply funny novel. Whether you're putting it in your carry-on to read on the beach or looking to escape the dead-of-winter blues, Tomorrow There Will Be Sun is the perfect companion. 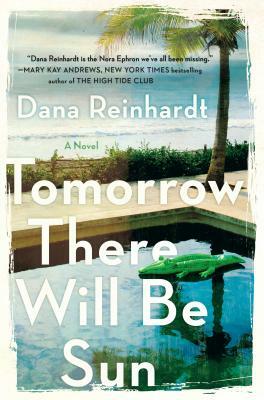 Dana Reinhardt is the award-winning author of the young adult novels Harmless, How to Build a House, and The Things a Brother Knows, among others. Her books have been named to many best of the year lists, and reviewers have praised her work as "exceptional" and "funny and unforgettable." She lives in San Francisco with her husband and their two daughters. To learn more, visit danareinhardt.net.